While universal HCV screening is recommended for “baby boomers,” risk-based screening is recommended for all other groups. Hepatitis C virus (HCV) infection is a major cause of mortality from infectious disease in the United States. 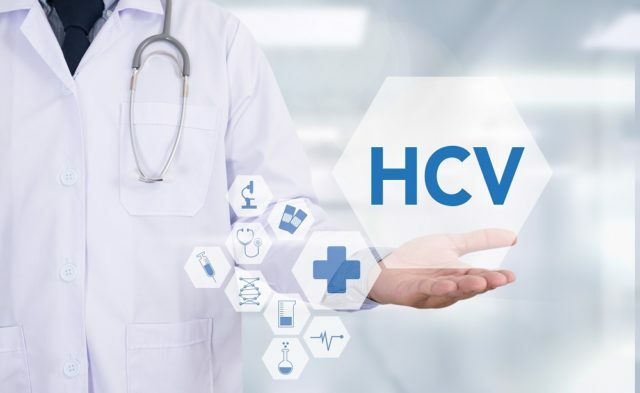 Nearly 20,000 Americans died as a result of HCV-related causes in 2015, according to the Centers for Disease Control and Prevention (CDC).1 In the past decade, the epidemiology of the disease has shifted dramatically as cases have surged among teens and young adults. “The opioid epidemic has largely contributed to this change in epidemiology — it used to mainly affect baby boomers, but that is not the case anymore as the main route of transmission in recent years has been contaminated needles and other paraphernalia,” Claudia Espinosa, MD, MSc, associate professor of pediatrics in the division of pediatric infectious diseases at the University of Louisville School of Medicine, indicated in an interview with Infectious Disease Advisor. Whereas universal HCV screening is recommended for “baby boomers,” risk-based screening is recommended for all other groups.3 Pregnant women are not universally screened for HCV as they are for various other infections, including HIV and hepatitis B virus (HBV). There is a lack of consensus among experts and professional organizations whether HCV screening in this population should be risk based or universal. Findings suggest that risk-based screening is largely ineffective and that obstetricians may not inquire about HCV risk factors in many cases. In addition, risk-based screening carries the “potential to create an ethical challenge for providers, as uncovering information about drug use carries implications for child custody and could prevent honest and open communication to facilitate care for at-risk women,” according to the authors. Infectious Disease Advisor interviewed Dr Espinosa for additional insights on the topic of universal HCV screening in pregnancy. Infectious Disease Advisor: What are some of the issues and potential benefits pertaining to universal HCV screening for pregnant women? Dr Espinosa: Several studies have shown that risk-based screening misses many cases of infection. Several reasons account for that — for example, the screening tools are not perfect, patients do not trust the provider or just do not want to admit risks factors, and many may just not want the risk factors to be permanently part of their medical record. These factors are not unique to hepatitis C risk factors, as we have seen it happening with other infectious diseases such as HIV. It was not until universal screening for HIV was implemented for pregnant women that the rates of perinatal transmission dramatically decreased. Universal screening in pregnant women will destigmatize hepatitis C and increase awareness. The United States is [in the midst of] an epidemic that should be controlled, and transmission will not decrease unless several actions are taken. We will not know the true burden of the disease if we do not increase screening. Identifying as many infected people as possible, and linking them to care, will contribute to eradication. That these young HCV-infected women identified during pregnancy can be treated after delivery is a huge step in the way of eradication because they will not expose any other baby in future pregnancies. Infectious Disease Advisor: Should universal screening be implemented nationwide? Dr Espinosa: I am not sure that screening should be implemented all across the United States. Certainly, some people believe so, and organizations as [Infectious Diseases Society of America] and [American Association for the Study of Liver Diseases] changed their recommendations in April of 2018 to support universal screening and subsequent follow-up. I firmly believe that in states such as Kentucky and those surrounding the Appalachian region — where the incidence of opioid use is so high, and parallel to it the incidence of HCV has increased, universal screening of pregnant women makes sense. We are very grateful that thanks to the efforts of several groups, we have a law in Kentucky that makes HCV screening mandatory for all pregnant women and makes the diagnosis part of the newborn’s medical record so the babies can be followed until perinatal transmission can be ruled out. Infectious Disease Advisor: What additional points would you like to note about the topic? Dr Espinosa: Investing in HCV will pay off over time because treatment with direct antiviral agents is safe and effective. Once considered a chronic and potentially deadly disease, HCV now can be cured. States should receive incentives to identify cases, and resources should be available to those states for decreasing treatment barriers in those individuals who meet criteria. If we treat everybody, there will not be ongoing transmission and eradication will happen. Screening is the first step, but confirmatory testing should follow. Antibody HCV screen with reflex to confirmatory HCV RNA [polymerase chain reaction] should be done as a first step to identify patients who require further therapy. It is our responsibility to educate other providers regarding hepatitis C, modes of transmission, and screening and therapy. Information must be spread to remote areas where HCV incidence is likely higher and the need to control the outbreak is greater. Infectious Disease Advisor: Going forward, what should be the top research priorities in this area? Dr Espinosa: We are in a better place to treat HCV now, but there is still room for improvement because affected populations face many challenges. Additional research in behavioral approaches to increase patients’ compliance, implementation strategies, and clinical trials — not only in adults but also in children — should continue if we want to eliminate HCV. Centers for Disease Control and Prevention. New Hepatitis C Infections Nearly Tripled over Five Years [press release]. May 11, 2017. Accessed October 26, 2018. Ly KN, Jiles RB, Teshale EH, Foster MA, Pesano RL, Holmberg SD. Hepatitis C virus infection among reproductive-aged women and children in the United States, 2006 to 2014. Ann Intern Med. 2017;166(11):775-782. Jhaveri R, Broder T, Bhattacharya D, Peters MG, Kim AY, Jonas MM. Universal screening of pregnant women for hepatitis C: the time is now. Clin Infect Dis. 2018;67(10):1493-1497. Kuncio DE, Newbern EC, Johnson CC, Viner KM. Failure to test and identify perinatally infected children born to hepatitis C virus-infected women. Clin Infect Dis. 2016;62(8):980-985.